The Lexus ES350 has been redesigned for 2019. We've always considered the Lexus ES350 the gold standard of entry-level luxury vehicles. Since its introduction 30 years ago in 1989, the Toyota Camry-based ES350 has been an aspirational vehicle for many mainline consumers who are ready to step up to the luxury level, both in product quality and dealer experience. For 2019, Lexus has brought to market an even more luxurious ES model — this time based on the slightly larger Toyota Avalon architecture. The result is one of the more comfortable cars in the class; albeit with busier styling and an available F-sport version for those who desire more driving personality. The new ES350 is noticeably longer than the previous generation, with more interesting body lines and a restyled "spindle" grille, which has become the company's signature styling cue. Some critics think the yawning grille is overdone, but we think it provides a handsome — and distinctive — face for the ES. Lexus supplied our Matador Red Mica test car for a one-week trial on Chattanooga roads. Our tester is a plush, ES350 Ultra Luxury model with such upgrades as semi-aniline leather seats, a power rear sunshade and a hands-free trunk lid. Lexus sedans and SUVs are available locally at Lexus of Chattanooga on Lee Highway. Eleven 2019 ES350s were listed in the dealership's digital inventory late this week. 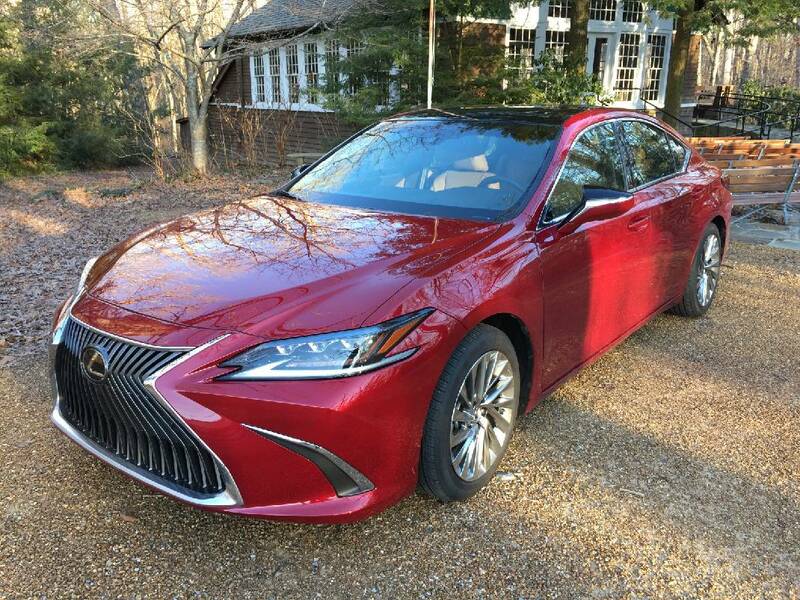 The 2019 ES350 is a five-passenger mid-size luxury sedan equipped with the company's tried-and-true 3.5-liter, six-cylinder engine and a new, 8-speed transmission. The engine provides 302 horsepower, and has the sort of buttery operation that Lexus owners love. Our tester, with almost every available luxury feature, lists for $53,742. Lesser trim levels are available starting at $39,600. A hybrid model is available for only about $810 more than non-hybrids. The 17-speaker Mark Levinson audio system, with 1,800-watt surround sound, is better than sound systems in some sedans costing twice as much. The interior of the ES350, with its asymmetrical dash and plush leather seats, is tastefully elegant. You simply get a lot for your money in this sedan. We're weren't able to master the center-stack mounted track pad that controls the 12.3-inch multimedia screen. Maybe more time in the car would have helped, but the learning curve may test your patience. A more intuitive set of telematics controls is needed. If you like a soft, quiet ride, the ES350 definitely fits the bill. Meanwhile, the ES350 F-sport is a good choice for customers looking for more performance. The new-generation ES350 has a more youthful vibe than before, but without offending the sensibilities of more conservative, older buyers. If, like me, you want to a car that lowers your blood pressure and soothes your evening commute, the ES350 is a perfect fit. Online: In the market for a new vehicle? 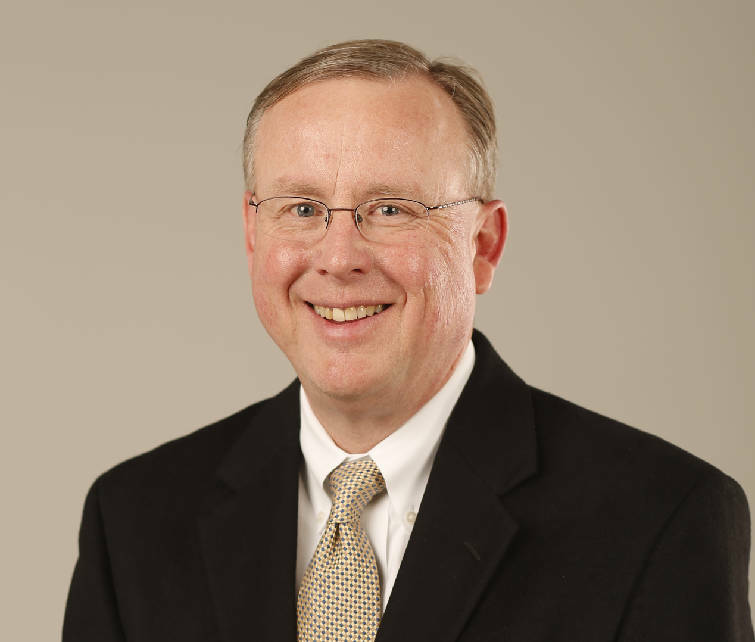 To access hundreds of Mark Kennedy's Chattanooga Test Drive columns visit www.timesfreepress.com/testdrive. 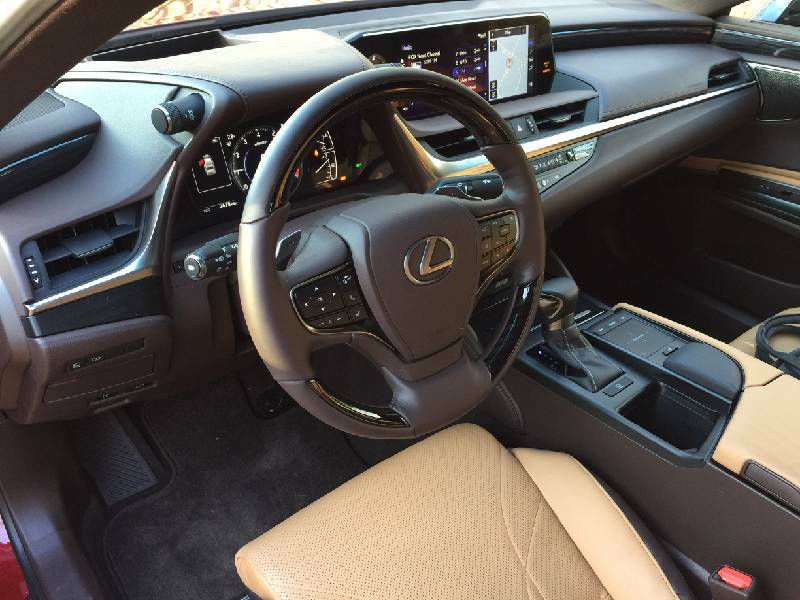 The interior of the 2019 Lexus ES350 features an asymmetrical dash design.